- Duration: 4 hours aprox. The presence of women in the Christian or Islamic medieval and Renaissance world has been virtually ignored in our present History, often written by and for men. However, women occupied a very important place in medieval society and this specialized tour aims to provide a new view of the Alhambra and Granada through the places where their women used to live, as silent protagonists of most of the stories and legends through each of its corners. In this tour will be treated, from the most quotidian and trivial facts and places, typical of the medieval female world, to great women of State, including Queen Isabella I of Castile. The woman in the medieval Islamic society were linked to their family circle, and they only went out home once a week, to go to the public baths, the mosque and, barely to the cemetery. Sometimes they attended family celebrations or traditional festivals of the community. Although the role of Andalusi women were also influenced by other cultures in their surroundings, nearby kingdoms and religions, who gave them a degree of independence and freedom higher than other women of the Islamic world. On the other hand, women in medieval and Renaissance Christian society had a much more complex role, with more options to choose, beyond marriage, such as admission to a convent or monastic order. In addition, if the needs of the familiar wealth required it, women occupied more complex and important roles, and became a key part of many remarkable movements of that time. From the Renaissance, the women began to be the owners of their destiny, creating models of modernity, as some certain intellectual and spiritual activity that, with many difficulties, discovered them the path of knowledge. *Space closed to the public visit due to conservation matters. 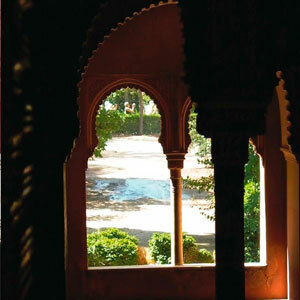 Due to conservation reasons, security or any other matter, imposed by the Patronate of the Alhambra, the itineraries of this tour could be modified. If the tour skips one of the locations specified, the agency will change the tour to another, without reducing the duration of the visit. Regarding the ecclesiastical heritage, any day or hour involving liturgical service won’t allow us to visit the temple. - Local guide, expert in architectural interpretation and heritage. - Tickets and access to every place specified on the itinerary. Duration and length of this tour make advisable to wear comfortable shoes and drink plenty of water during the visit. Your reservation will be confirmed automatically at the end of the purchase process, through our encrypted payment system. You may pay with your credit card (VISA and MasterCard ) or bank transfer. We will confirm your order with an email in which you will also get the voucher of the visit. You should print this voucher and give it to the tour guide before the visit. The voucher is the only valid proof of your purchase and NOT any other supporting paper will be accepted to make the visit. If you need to modify or cancel your reservation, please contact us via our customer service form. It is advisable to get to the meeting point at least 10 minutes prior the departure of the tour. The visit we describe takes a very special tour, focused on specific and clearly defined aspects of the History. 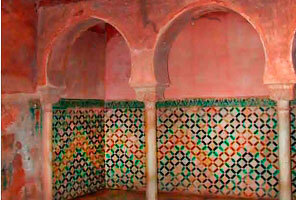 The tour does NOT include full access to the Nasrid Palaces, the Alcazaba or the Generalife. 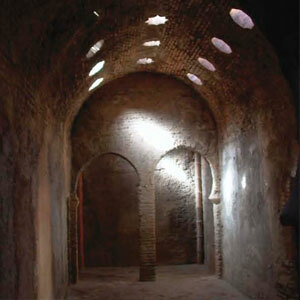 However it DOES include areas usually closed to the public visit, inside the monumental complex and in other selected areas of the city of Granada.